While many plants are dying back in the garden, our mint is still growing. In fact it is flourishing now it has the ground to itself! Mint is a fantastic herb and especially useful for winter because it’s a decongestant. Peppermint is the most commonly used herb in herbal medicine although all mints can be used and spearmint is safer for children. Peppermint tea relaxes spasms in the digestive tract and is the best medicine for indigestion, griping pains and colic. Sip a cup of peppermint tea after your meals. Use spearmint for young children too. For heavy colds with a blocked nose make a cup of peppermint tea and sip slowly as you inhale the vapours. You’ll feel them clearing your head and sinuses immediately. 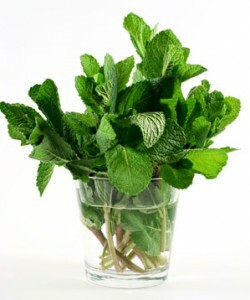 An infusion of peppermint activates the mind and improves memory; it is also a general tonic for mental faculties. Drink peppermint tea when you are revising for exams or have a presentation to give. To make tea, infuse a pinch – ½ tsp dried herb, or 4-6 leaves of fresh herb, lightly crushed, in a cup of boiling water. Cover to retain the vapours and leave for 5-10 minutes. Strain and serve hot or cold. 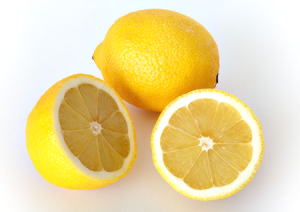 Take 2 cups a day as a tonic, 3 cups a day for chronic conditions, 6 times a day for acute conditions. For children under 12, use only spearmint and give ½ the dose. Give ¼ the dose for young children. Do not take for more than a week without advice from a practitioner. I use mint especially for diarrhea. Peppermint oil is very effective as a nasal decongestant (at least for my daughter, is the best). For memory I use more lemon balm, peppermint’s relative. @Paula: Thanks for sharing all your lovely ideas, Paula. I love mint too – it’s so uplifting and powerful. You can also use the fresh peppermint leaf juice to relieve eczema: just crush the mint leaves to make a paste and apply this on the affected areas or make a peppermint infusion and use it as a lotion. I also use peppermint tea for fever: peppermint has sudorific properties. @Cori: Hello Cori, gosh, I would think getting peppermint leaf juice on the skin would smart a little; I know the essential oil does but thanks for sharing!